A generous mass of marble is served up with a discrete black powder coated steel base to form a substantial and gorgeous coffee table. Perfect for pairing with sectionals or larger proportioned sofas, Super lives up to its name. Available in two shapes. 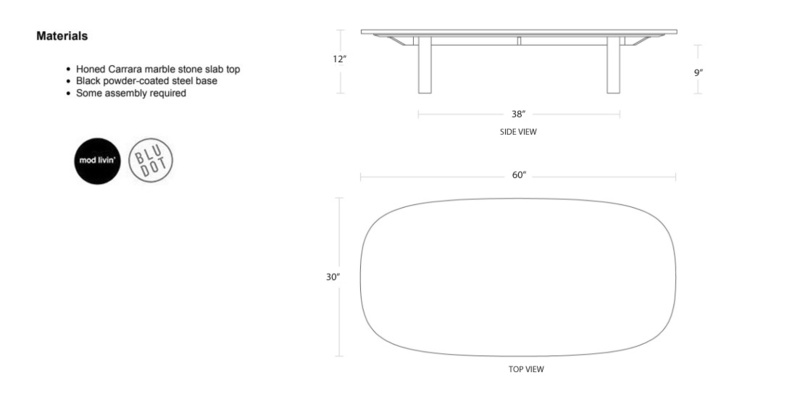 Choose from a Swoval table top with a blunt profile or rectangle top with a more delicate beveled edge detail. Width 60", Height 12", Depth 30"